Nothing screams diet more than salad. 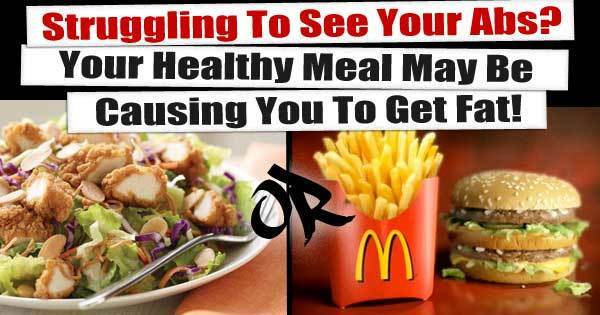 It’s the goto meal for millions around the world looking to lose the love handles. And it’s no different for my buddy. He struggles to lose anything off his belly. Things go well for a while. He gets derailed. All the weight he’s lost comes back with a vengeance. He’s not the only one to have this yo-yo nightmare. You might have run into this issues as well. Only about 2% of dieters successfully lose weight and keep it off for more than a year. Well, one day we went out to lunch. He orders a cob salad with grilled chicken. Lots of fibrous veggies and lean protein. A perfect combination for noticeable weight loss and preservation of lean muscle. However, things go wrong fast. About a quarter of the way through his salad the waitress comes around to see how things are going. My buddy says all is well but he could use a little more dressing. This happens one more time before we finish up. By the end of the meal he’s had two extra servings of dressing plus the original. What could have been and opportunity to loose and inch has done a 180. It completely went in the other direction. The calories in salad dressing add up quickly. 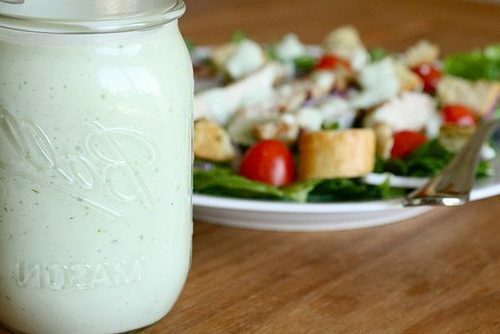 Just 1 tablespoon of ranch dressing has about 80 calories. He ordered extra dressing on the side and ended up with about a half cup of the stuff. This added about 600 extra calories to the dish. There were more calories in the dressing than in the salad itself. Even including chicken. He’s eating about 5 salads a week. So in dressing alone he’s getting an extra 3000 calories a week. A pound a fat is about 3500 calories. So you can see how quickly the inches pile on when you think you’re doing the right things to get ripped. These additions can easily send the calorie count over 1000. 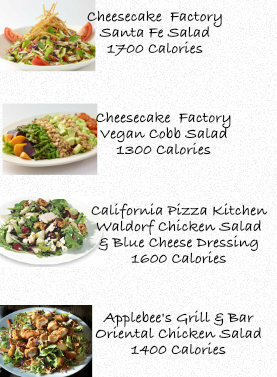 Applebee’s Oriental Grilled Chicken salad has just over 1200 Calories. In comparison, a big mac and medium fries comes is about 910 calories. But don’t throw in the towel on your salads. Lean protein and veggies are the way to go. Just watch for the hidden calories. They’re the main driver in saying good bye love handles, and hello abs. Use a calorie reduced dressing and keep an eye on the add-ons. This small adjustment can make all the difference in your success or failure. Remember, calorie reduced meals don’t need to be plain or boring. See for yourself. Download lip smacking recipes that are so easy to make, a caveman can do it. Did I mention they’re free? — > Yes. Send me the free recipes.